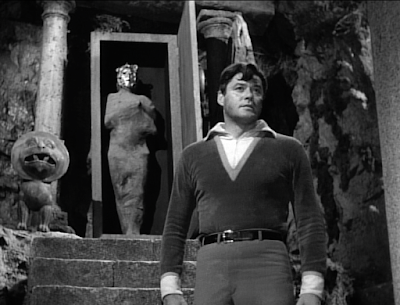 In “Follow the Leader,” a planet-quake strikes just as Professor Robinson (Guy Williams) and Dr. Smith (Jonathan Harris) are exploring a cavern. Robinson falls into a subterranean room, heretofore buried, and stumbles upon an ancient alien temple. There, the disembodied spirit of an ancient warrior -- Canto (Gregory Morton) -- possesses Robinson’s body, transforming the kindly patriarch into a draconian, vicious brute of man. John returns to camp changed, and the others soon take notice of his peculiar and uncharacteristic behavior. Only the Robot understands what is occurring, and offers a dire warning to the Robinsons. Unless the body possession can be stopped, Professor Robinson’s identity will soon be lost forever, absorbed by Canto. When Will (Bill Mumy) interferes in the alien temple, hoping to find a way to destroy Canto, Canto strikes back. He takes Will to the precipice of a bottomless pit, where he intends to push him over the edge. The last episode of Lost in Space’s (1965-1968) first season ends the black-and-white catalog on a high note, and a disturbing one too. The kindly John Robinson (who has always shown such restraint, especially vis-à-vis Smith), is possessed by a wicked, merciless and aggressive alien. In the episode’s shocking denouement, the alien in Robinson’s body, Canto, nearly kills an innocent child, Will. Canto agrees, and that’s when Will strikes, looking into Robinsons’ eyes and telling his father that he loves him. From there, Robinson fights his way back, and destroys the helmet, the source of Canto’s power. On the surface, “Follow the Leader” is another alien possession story, the brand that is a dime a dozen on various incarnations of Star Trek (“Lonely Among Us,” or “Warlord” to name two). But “Follow the Leader” also features a dramatic and powerful sub-text. 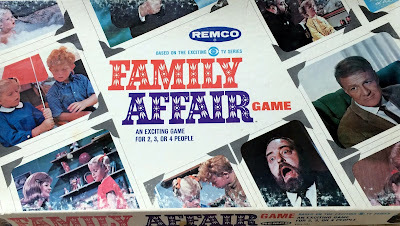 This is a story about alcoholism in the nuclear family, perhaps. One day, your father is suddenly different: cruel and mercurial. He shouts and yells, and goes off into violent fits. He verbally upbraids you and your mother, as well as other family members (as John does to Maureen, Smith and will here…). Suddenly you don’t feel safe or secure, and this man in your midst, you realize, is an enemy. He has “changed.” He’s different. He wears a mask of cruelty, hiding, perhaps, who you think he is; or who he would like to be. The sci-fi idea of alien possession replaces alcohol, but the metaphor is in place. Will and the others are at a loss to help John, or stop John. He can be reached, finally, only by forcing him to remember his family obligations, his love of his son, for example. And that’s one emotionally powerful final scene on the precipice. In part, I suppose, because “Follow the Leader” goes so far. Canto walks Will onto the precipice, and forces him to look down. Will understands what’s happening, and says something along the lines of “you’re going to push me over the edge, aren’t you?” Canto acknowledges that yes, he is going to do that. 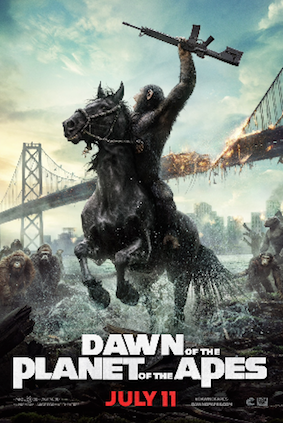 The calmness and rationality with which both Will and Canto face this horrible fate is chilling. There is nothing childish or juvenile about this moment. Will is a smart kid, and he knows what’s happening to him. Meanwhile, Canto has no love for him, and no desire to save his life. The more I think about it, chilling is the appropriate word. A father is about to murder his son. Yet Will shows such composure, and Canto, no humanity whatsoever. 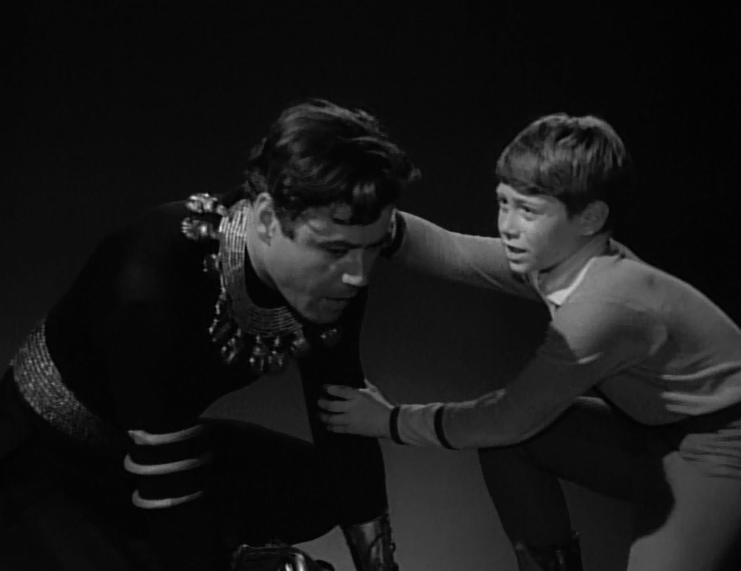 “Follow the Leader” feels ever-so-much more urgent and immediate than many episodes of Lost in Space, and there is a degree of tension and anxiety present in this episode. “Follow the Leader” showcases, perhaps, what the series might look like when the buffoonish Smith isn’t the center of the action. It also cements the idea that I've talked about here many times before. 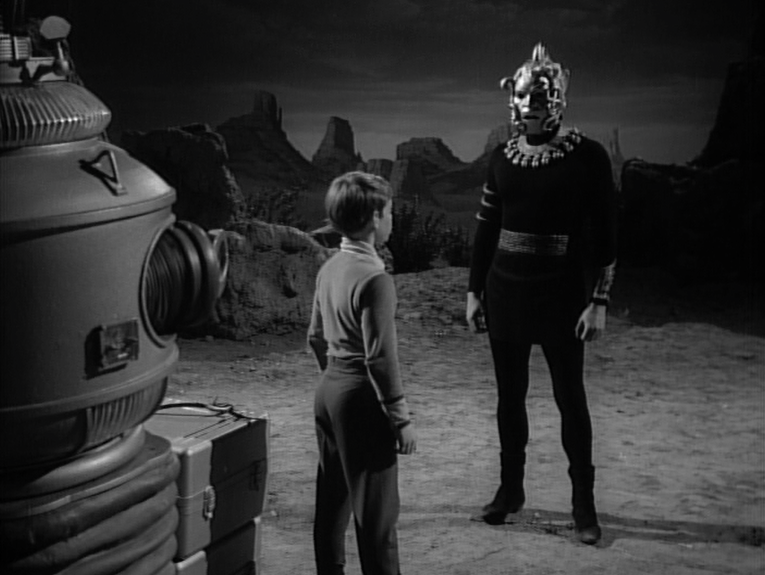 The best episodes of Lost in Space are those that take some topic of life here on Earth (senseless war, alcoholism, the beginning of adolescence, etc.) and translate them to the space frontier, but in a family milieu. This episode absolutely follows that pattern. Only one quibble. 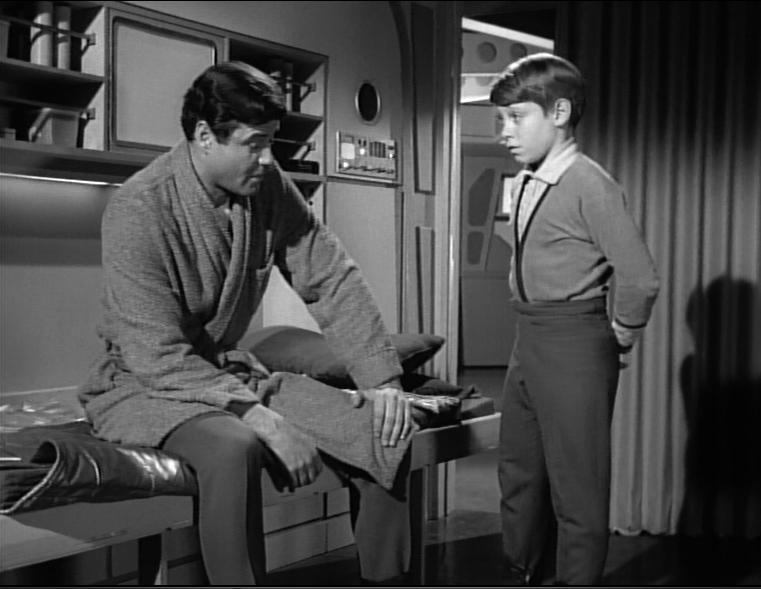 How many underground civilizations are there on Priplanus, the Robinsons' planet? By my count, this is the third! Next week, Lost in Space goes color in “Blast off into Space!,” the second season premiere. OMG, forgot about this one. Another top notch story. 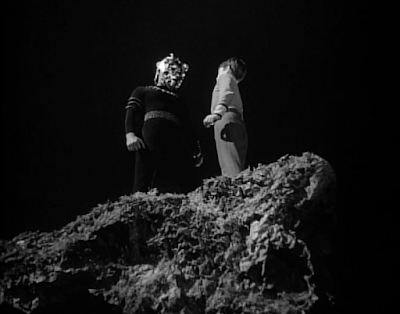 This excellent episode had a creepy feel to it right to the end at the cliff edge. 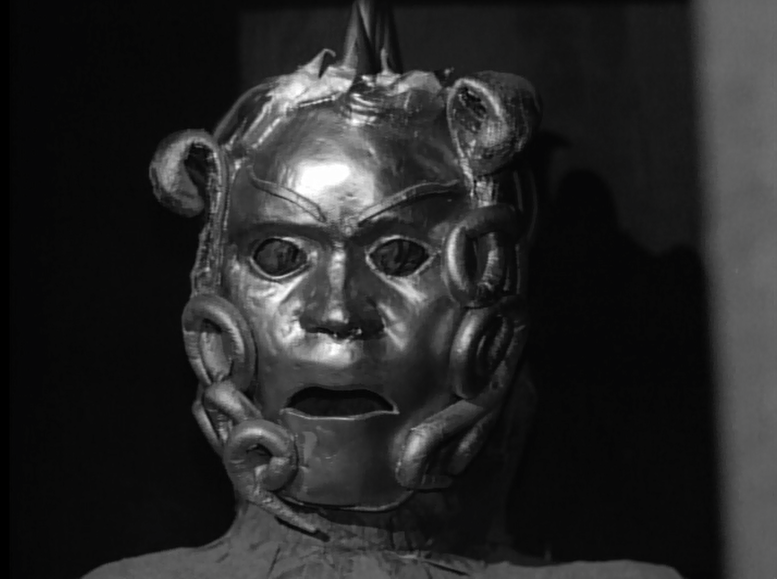 It felt like a '60s The Outer Limits episode. There's a notion in LIS fandom that the fuel machine built by John/Canto in this episode plays a vital part in aiding the Robinsons to escape their planet in the Season Two opener, "Blast Off Into Space." However, I have the script for this episode, and there's an interesting exchange between Professor Robinson and Don at the end of the episode, which was not included in the broadcast version. The men are studying the plans for the fuel machine, and John tosses the plans aside, saying "It's no use. All these plans that I drew up when I was under Canto's control make no sense at all to me now." Don replies, "Too bad. Somewhere in there is the secret that could get us off this planet." Although, I suppose it's a moot point since the scene never aired, and we do see a relatively functioning fuel machine in the episode. "Follow The Leader" is one of my hands-down favorites, and one that I was aware of from friends but didn't see until years later. The tomb set is amazing. If this were a second or third season episode, there would have been black velvet serving as the backdrop of the cave. The set designers really went all out for this one. I've seen this one dozens of times, and never once associated it with the now-obvious notion that it is a statement on alcohol abuse. Excellent point and review, John. One of the many reasons I love your site and have referred many friends to it. As a rule, I remain solely a fan of the earliest treatment of LIS. The 1st 5 episodes making up the pilot, and 3 right after (My Frnd, Mr. Nbody; Invdrs 5thD; Sky is Fallg). But your observation of the much later 'Follow The Leader' is intriguing, particularly since I myself suffered the nightmare of growing up with an alcoholic parent! You're right; this episode DOES have that resonance. Surprised I never made the connection, although I may have suppressed it subconsciously to avoid the memories. Next time I view this one, it will be with all that in mind. (And here's my own one quibble about the episode: I wish, to keep the show consistent with science fiction, which they abandoned by the middle of the first season, they'd made the alien a life force stored within an ancient alien computer buried beneath the planet's surface, instead of literally making him a supernatural spirit). Ahh, a reminder that LIS could have been an excellent series all the way thru if they hadn't reduced it to kiddie fare so badly.